Don’t Bury Your Head In The Sand – Do Your Tax Return NOW! Although I am in danger of repeating myself, we are approaching 31st January, HMRC tax deadline day. We have explained in previous posts that HMRC will and do issue fines for late filing of tax returns. These mount up and have additional penalties added over time. 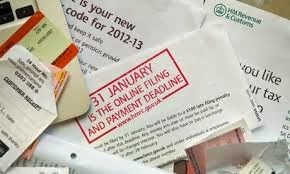 If you are reading this and still have not filed a required tax return for 2012 – 2013, or prior years, please don’t put it off any longer. We can help you get all your taxes up to date and squared away. You may even be owed tax back that can be offset against the amount you might owe. Home » Blog » Don’t Bury Your Head In The Sand – Do Your Tax Return NOW!